* Total number of reviews and star-ratings are based on data collected during the time period Air Excellence Heating and Cooling has been using the ReviewBuzz system and may not directly match the data found on each public review site. Erik went out of his way to figure out what was wrong with our air conditioning unit and informed us of other problems with our furnace that we were not aware of. 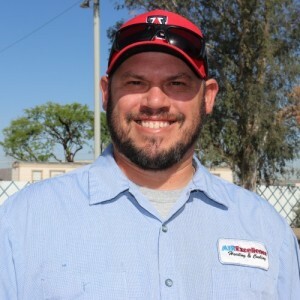 Erik was super courteous and professional, was on time and super helpful! First time using the company and was very impressed with their operation in all areas. Very professional and knowledgeable. I will be a repeat customer from now on and would recommend them to anyone looking for a good, honest company for ac/heating issues. I found Eric to be extremely personable, knowledgeable, on time and he called to let us know when he was on his way. His professionalism he exhibited was a window into his work ethic and is a credit to the company he represents. I talked with Amy, one of the owners of the business, and told her that because of Eric, I am now a return customer and look forward to my next service with Eric. I will quickly recommend this company to anyone looking for similar service. Erik was great. He was the third technician to come to our house to try and fix our HVAC unit. The two prior technicians were unable to figure out what was wrong, but Erik had the problem diagnosed and a solution ready within 30 minutes of being here. We are very pleased with his work and recommend him for your HVAC needs. 1st time service call from this company. Eric and his partner Rick arrived on time and performed warranty work on my hot water heater. Both were very personable and completed task in a very efficient manor. Great service and very professional Air Excellence called me to get my maintenance service done and was scheduled within 2 days of the call. Eric was my service tech and was very professional and I finally received the correct filter sizes I needed for my unit after everyone else I dealt with before Air Excellence kept giving me wrong sizes. 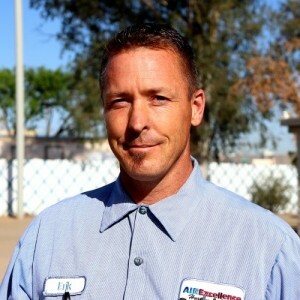 I strongly recommend Air Excellence for all your HVAC needs. I have been doing business with Air Excellence for over 10 years and they always do the best to accommodate my needs. Staffs are pleasant to talk to ask any questions or needs I have and treat me with great respect. I will highly recommend them without any reservation!! Erik, took the time to show me the problem with our furnace, told me what was needed to fix it, showed the other parts were fine and had the problem fixed within a short time. I will highly recommend Air Excellence! Erik, took the time to show and explain the problem with our furnace and promptly made the repairs needed. Erik was professional and thorough. Thank you for the great service! Erik was extremely knowledgeable. He explained everything. He was also very polite and respectful. This is the third company we have worked with and is by far the best. We will definitely only use them I. The future. Our furnace on our condo did not turn on, andwe called Air Excellence. Eric came out, diagnosed the problem quickly, ordered a new control board, and installed it when we were out-of-town. We very pleased to have heat when we returned. I have used Air Excellence for my annual review, and they have always been prompt and competent in maintaining and occasionally repairing the unit. Erik was professional and knowledgeable. He explained things thoroughly. Thank you, Air Excellence! on time and very professional. would recommend highly. Air Excellence Heating and Cooling Team . Customer service is always a top priority at Air Excellence Heating and Cooling. Our BBB Membership rating is like a badge of honor as we continuously strive to provide the best experience for our clients.